Auramist 55-103-013901-11 16” Misting Fan Dust Cover by Auramist at Go Plots. MPN: 55-103-013901-11. Hurry! Limited time offer. Offer valid only while supplies last. 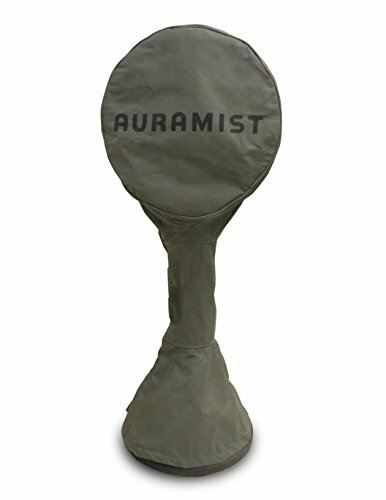 The auramist fan cover has 3-ply non-woven fabric which protects against dirt & scratches. Pvc free & solution dyed for exceptional fade resistance. The auramist fan cover has 3-ply non-woven fabric which protects against dirt & scratches. Pvc free & solution dyed for exceptional fade resistance. Perfect for storage. Two air vents reduce inside condensation & wind lofting. Designed & fitted for auramist 16" fans. If you have any questions about this product by Auramist, contact us by completing and submitting the form below. If you are looking for a specif part number, please include it with your message.